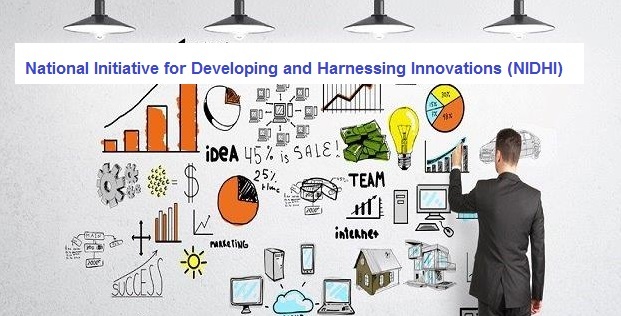 Central Government has launched a new program called National Initiative for Developing and Harnessing Innovations (NIDHI) for nurturing ideas and innovation into successful start ups. Talking to reporters in New Delhi today, Science and Technology Minister Dr Harsh Vardhan said, the programme will focus on helping startups to meet their funding, infrastructure and other mentorship needs. He said, youth of the country are highly talented and innovative and through NIDHI, government will help them to give there ideas concrete shapes. Mr. Harsh Vardhan said, there are eight component of NIDHI that support each stage of a budding startup from idea to market. The Minister said, the first component is PRAYAS (Promoting and acclerating young and aspiring innovators and startups) which aims to support innovators to grant upto 10 lakh rupees. The Minister said, during the current financial year, Department of Science has allocated 180 crore rupees, with a view to drive the innovation and startup centric new initiative.